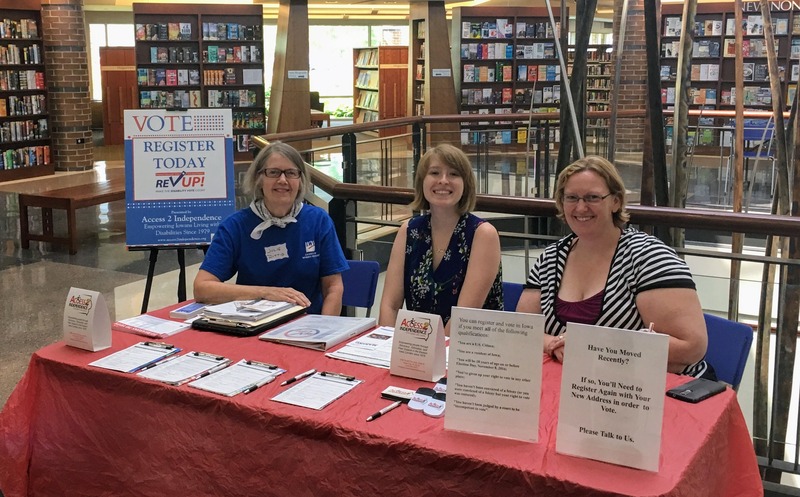 We want to send a big THANK YOU out to everyone that came out to register to vote over National Disability Registration Week! 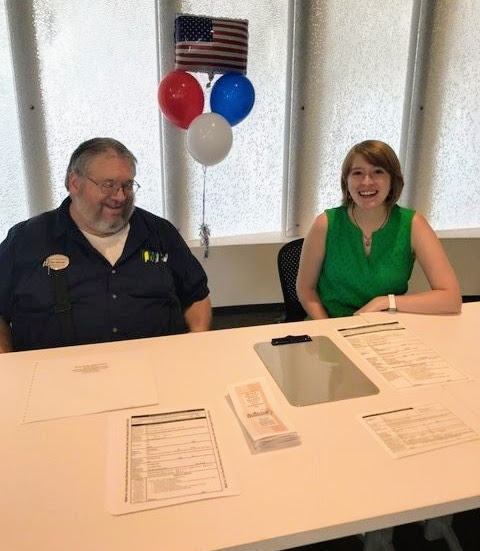 Kiersten and Talor registering people to vote at the Coralville Public Library with the help of Julie from The Johnson County League of Women Voters. We had a great time at both the Cedar Rapids Public Library and the Coralville Public Library, and are so thankful to them for hosting us! Additionally, we want to thank Julie from the Johnson County League of Women Voters for donating her time and energy to help with the Coraliville event. https://access2independence.org/wp-content/uploads/2017/06/rev-up-register-to-vote-e1467042293104.png 158 600 Talor Gray https://access2independence.org/wp-content/uploads/2018/12/logo-300x147.png Talor Gray2017-07-28 09:11:432017-07-28 09:11:43Voter Registration Drive: Update! 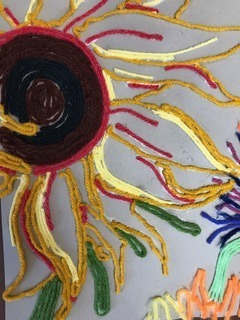 In the spirit of summer, Expressive Art Groups will be making yarn painted flowers! We will be gluing strips of yarn to create colorful flower images. Patterns will be provided in case anyone would like extra direction, but feel free to be as creative and unique as you would like in your floral creations!